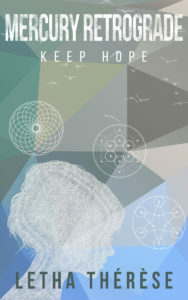 Letha Thérèse continues to explore the many ways we humans can wield words as she presents her debut poetry collection. 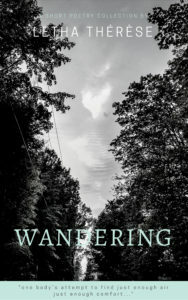 “Wandering” consists of twenty-six poems that speak to the connections we have to nature, to each other (and our pets), and to parts of ourselves that are aching to be brought to light. Composed during a four-year period of immense transition and organized chronologically, something of a journey unfolds over the course of this ephemeral volume. The life of solo-flying hacker chick, Mercury Retrograde McLaughlin, has just been turned on its head. In the wake of her Nan’s passing, she finds herself tasked with tackling a mission against notorious Crim Hack, Heck Tzibovsky, who refuses to play by the usual rules. Add to the mix an extra dose of magic, a well-loved phenom, and a mysterious man seemingly bent on making her crazy, and it’s clear that she’s in for a wild ride. Luckily for Mercury, she has good friends, a bigger heart than she’d like to admit, and the grit born of overcoming a rough beginning on her side.